Earn Tens of Thousands of Airline Miles! Big (Limited-Time) Bonuses on These AMEX Delta Cards! Through September 19, 2018, American Express is offering limited-time increased welcome bonuses on 4 of the AMEX Delta cards, including the Gold Delta SkyMiles® Credit Card from American Express, Gold Delta SkyMiles® Business Credit Card from American Express, Platinum Delta SkyMiles® Credit Card from American Express, and Platinum Delta SkyMiles® Business Credit Card from American Express. With the AMEX Delta Gold personal and business cards, you’ll earn 60,000 Delta miles after meeting minimum spending requirements. And the AMEX Delta Platinum personal and business cards are offering a 70,000 Delta mile intro bonus after meeting minimum spend requirements. So if you’ve been considering any of them, now is a great time to pull the trigger! 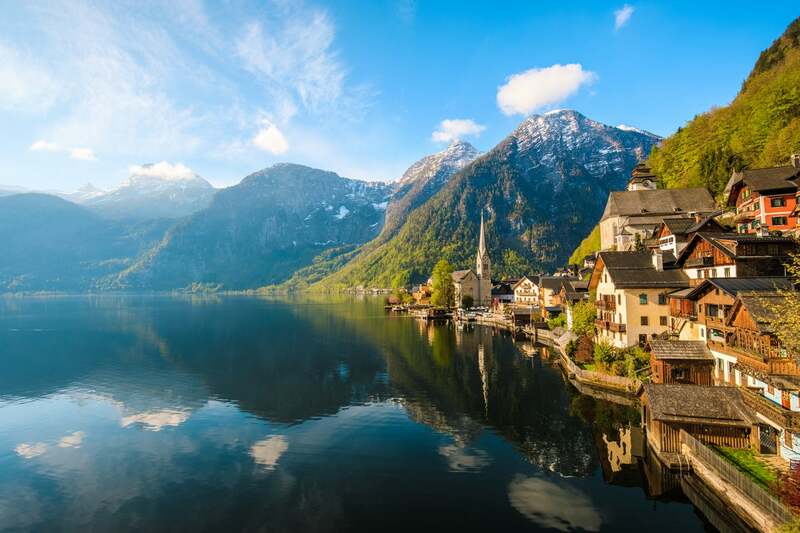 With These Delta Bonuses, Austria & the Rest of Europe Will Be Within Your Reach! Here are the details of these offers. The AMEX Delta Gold personal and small business cards are offering a 60,000 Delta mile welcome bonus after spending $3,000 on purchases in the first 4 months of account opening, through September 19, 2018. Both of the cards have a $95 annual fee, which is waived the first year. Until September 19, 2018, you’ll earn 70,000 Delta miles and 10,000 Medallion® Qualification Miles when you open an AMEX Delta Platinum personal or business card and spend $3,000 on purchases in the first 3 months of account opening. Note: AMEX only allows folks to earn the into bonus once per person, per lifetime, on ALL their cards. But because each of the Delta cards is considered a different product, you’re eligible for 4 separate welcome bonuses! Are These Offers Good Deals? The welcome bonuses alone are worth at LEAST $600 to $700 because you can redeem Delta miles for 1 cent each using Pay with Miles. And you can get much more value from them if you book award flights on Delta or their partners! Check out our post on how to use Delta miles for expensive flights. And this post on using Delta miles to get to Europe! The AMEX Delta Gold business card and AMEX Delta Platinum business card are especially appealing because they won’t appear on your personal credit report. This is helpful for folks trying to stay under the Chase “5/24” rule. Until September 19, 2018, you’ll earn 60,000 Delta miles when you open the Gold Delta SkyMiles® Credit Card from American Express and Gold Delta SkyMiles® Business Credit Card from American Express after meeting spending requirements. And 70,000 Delta miles when you open the Platinum Delta SkyMiles® Credit Card from American Express and Platinum Delta SkyMiles® Business Credit Card from American Express and meet minimum spending requirements. If you haven’t had these AMEX cards before, now is a great time to consider applying. Because these increased bonuses are at least double that of the cards’ most recent intro offers! Let me know if you apply!